I’ve wanted to post this recipe but froze it immediately after making it (I know…idiot right?). I tried taking pictures but they never seemed to come out right. 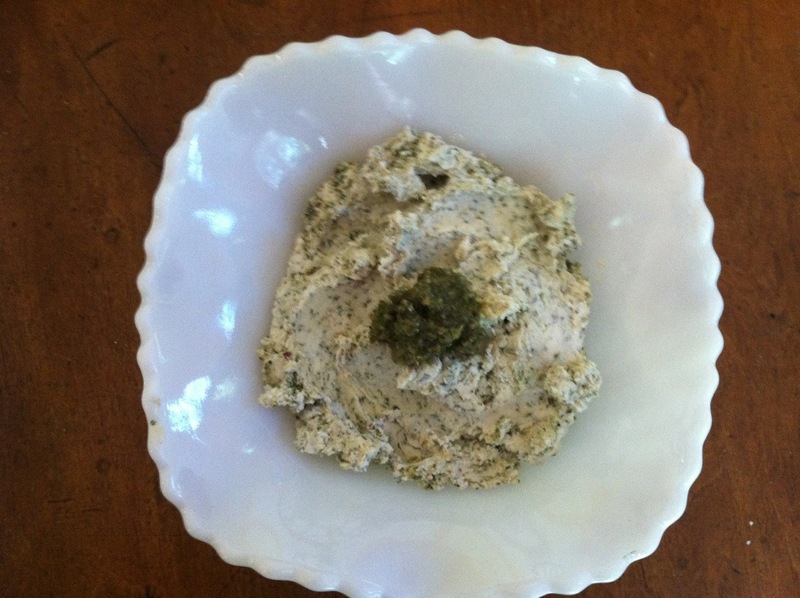 Last night I decided to use the pesto and decided it’s time to get the recipe out there. It’s super easy to make with or without kids. This made about a cup of pesto. This can be frozen or kept in the fridge. I would suggest not using this on pasta as the flavor of sage is strong. I think on fish or meat would be fab, or, what I did- mix a tbsp of the pesto mixture and stir into room temperature goats cheese and serve with crackers! Fabulous!